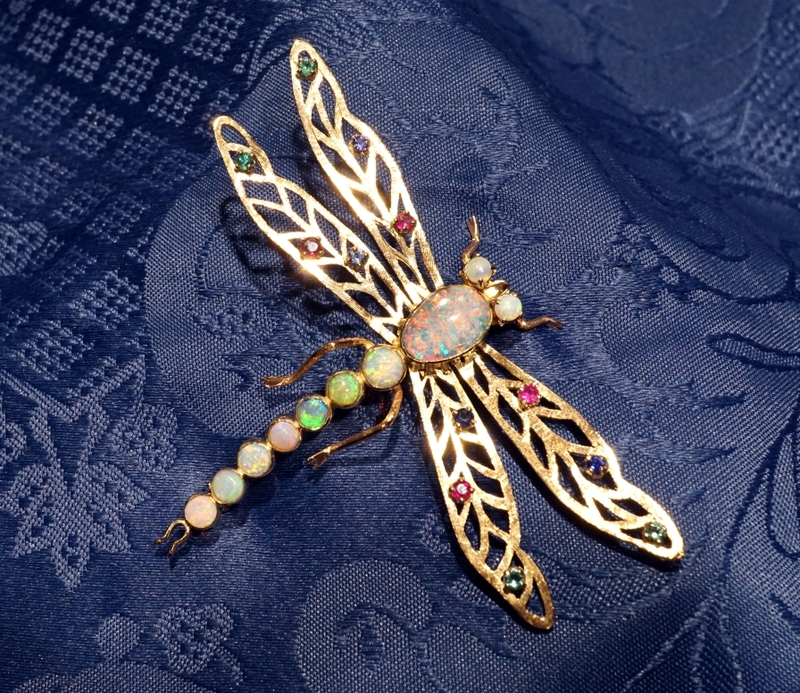 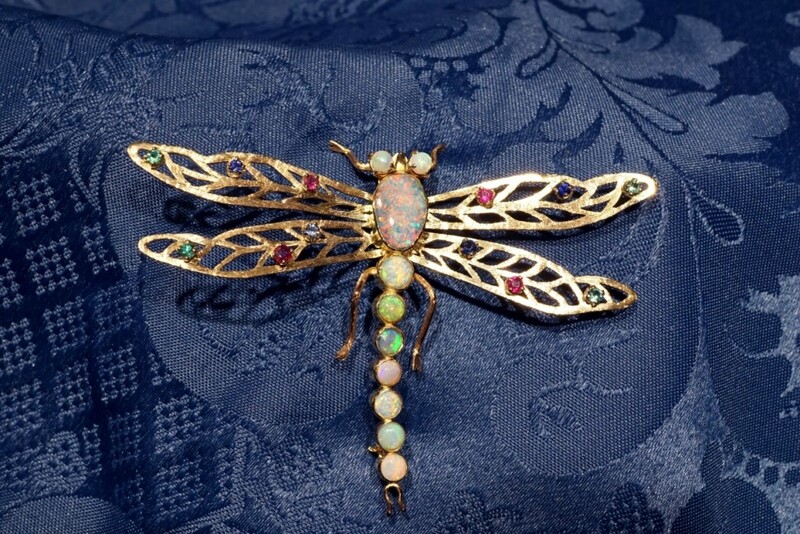 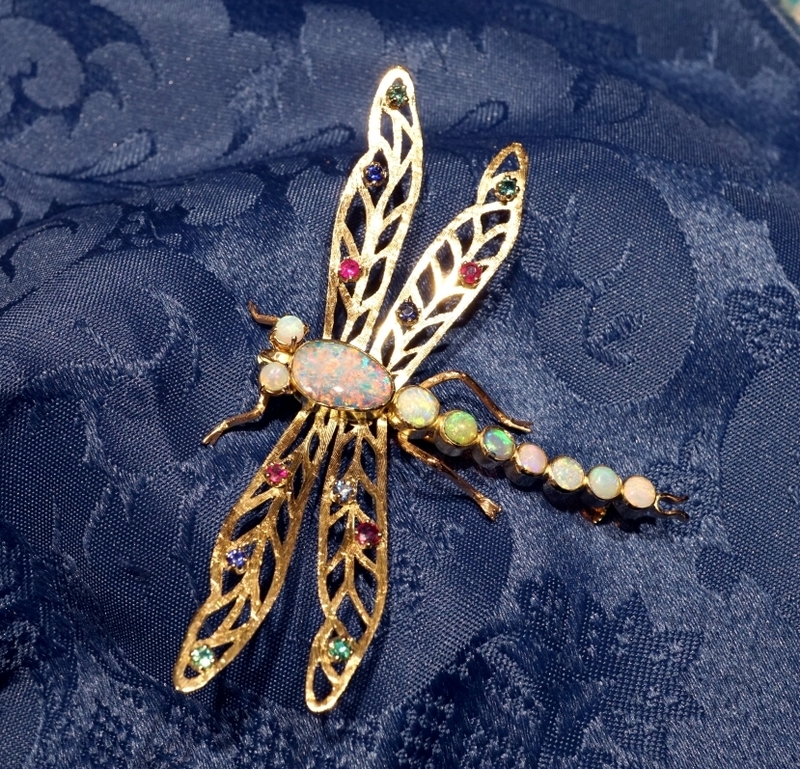 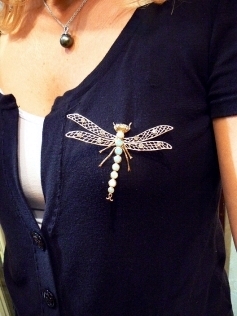 VIDEO Dragonfly zoomorphic jewel in yellow gold 18 kt. 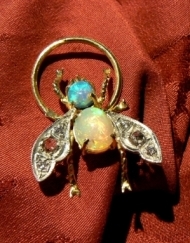 handmade – top crystal Australian opals 5 kt and boulder opal – precious stones on the wings – dimensions: wingspan 9,2 cm – length 7.2 cm – To request informations please click on “submit a request for this product” or send an email to info@webjewels.it all these jewels are exclusive products from our workshop in Venice. 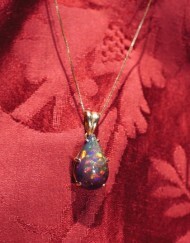 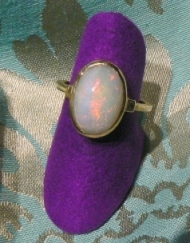 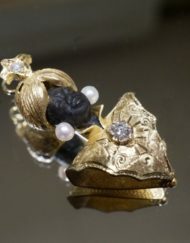 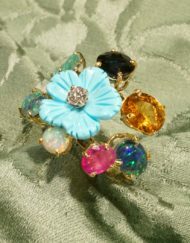 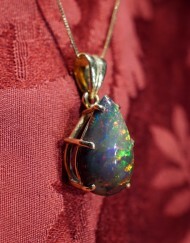 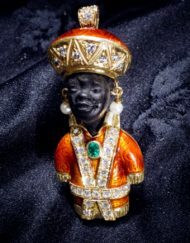 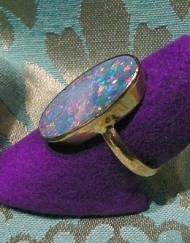 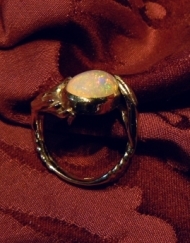 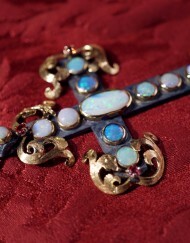 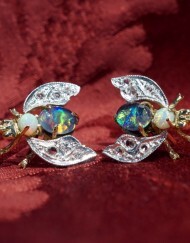 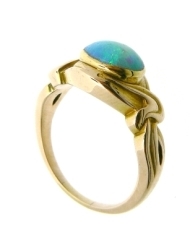 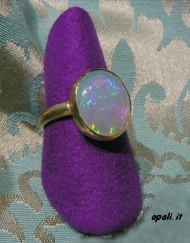 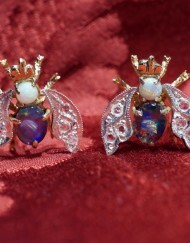 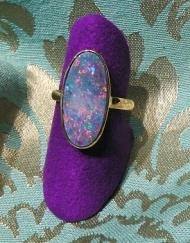 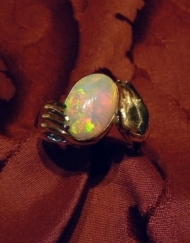 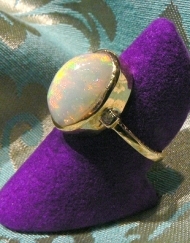 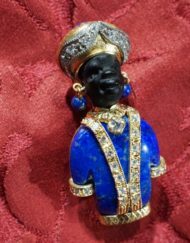 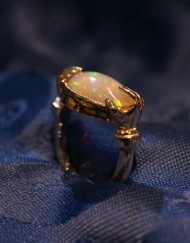 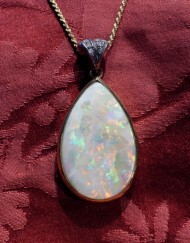 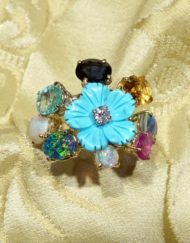 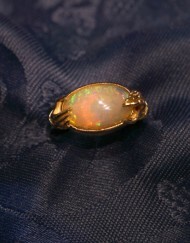 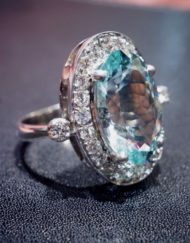 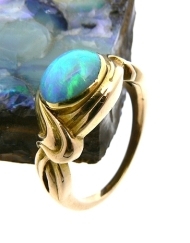 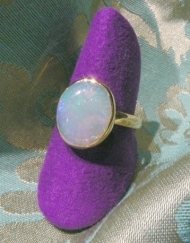 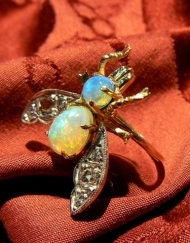 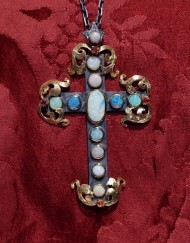 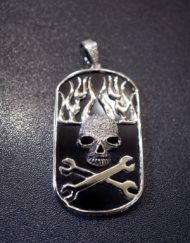 Categories: Opals Pendants, Brooches and Earrings, Opals Collection.